In the spirit of the holidays, WWE will be doing a gift exchange between two of SmackDown Live’s most exciting acts. The New Day and The IIconics are certainly friendly. The Australian duo are regular guests on Up Up Down Down, and The New Day even wished Billie Kay a happy birthday in their own unique way. ’Tis the season for giving, and with that spirit in mind, The New Day and The IIconics are coming together this Thursday for a Christmas gift exchange livestream. 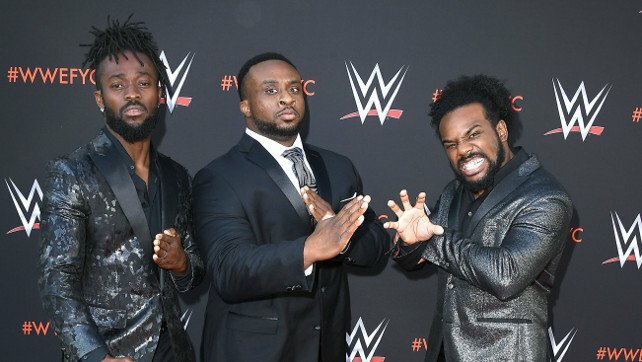 2018 marks the end of Billie Kay and Peyton Royce’s first year on the WWE roster and another year of success for five-time Tag Team Champions Big E, Kofi Kingston, and Xavier Woods. So to celebrate, the teams are hosting a gift exchange. What surprises will two of the funniest teams in SmackDown LIVE history have for one another? Don’t miss what gifts these hilarious teams present to each other, streaming Thursday, Dec. 20 at noon ET on WWE’s official YouTube, Facebook, and Twitter pages. What gifts would you give any of these five? Feel free to sound off in the comments below!